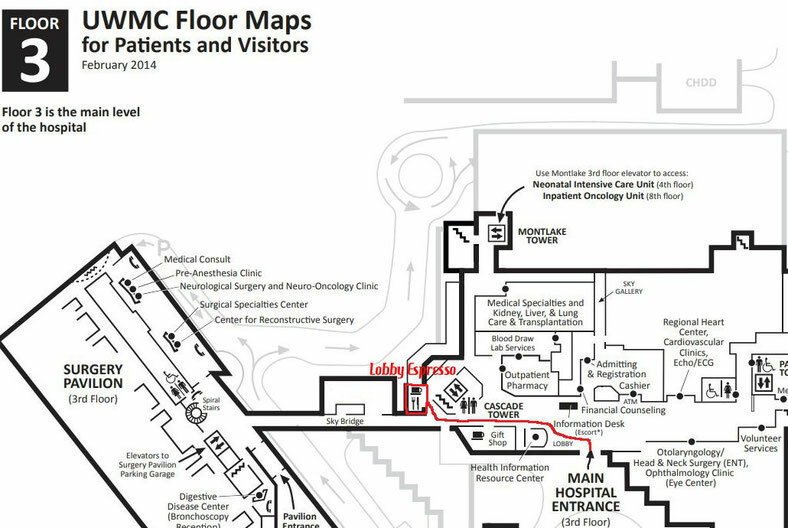 Upon entering the main hospital entrance on the third floor, take a left. Follow the hallway down, immediately after passing the gift shop you will see the Lobby Espresso sign to your right. If you walk across the sky bridge, you have gone too far. We are a proudly serve Starbucks location. We serve grab-n-go salads and sandwiches, hot soups, smoothies, breakfast pastries and cold beverages.